How Does Caregiving Affect You as a Caregiver? You might not realize it at first, but being a caregiver can change quite a bit about your life as you know it. If you’re not prepared for some of those changes, they can really take you by surprise. Knowing what to expect can help you to put solutions in place before you need them. Your Physical Health Might Take a Hit. Being a family caregiver takes an awful lot of your time and energy. As such, you might start neglecting your own good eating habits, exercise habits, and even sleeping habits. When that happens, your immune system can take a big hit. You have to take care of yourself, or you’re not going to be able to continue caregiving. Emotional Health Can Also Suffer. When you’re a busy caregiver, you’re less likely to be able to keep up with friends and family like you want to, which limits your social life. You’re also going to be dealing with a massive amount of emotions. Some of the decisions that you’ll need to make and the conflicts that you’ll need to deal with are going to create a great deal of stress for you. If you don’t manage it, that stress will cause you serious issues. You May Need to Balance Work and Life. Chances are very good that you have a career and a life of your own. 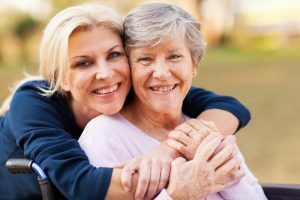 Being a family caregiver means that you’re going to need to interrupt some of the time you would be spending on your own life and career to focus on caregiving instead. Hiring home care providers can help, but if you don’t work a balance out, you’re going to feel overwhelmed. It Can Be Expensive to Be a Caregiver. If you live far away from your elderly family member, you might find that you have to spend quite a bit on travel expenses now. Or you might need to cut back on some of your time at work, which can reduce your income. Being a family caregiver can be an expensive proposition for a variety of reasons. Once you start to anticipate the changes that can impact your life, you can take steps to work through some of those issues.